இஷ்ட ப்ராப்தி Getting of all desires. Relief from debts and sins, cure of nervous debility, gift of poesy. மோக்ஷ ப்ராப்தி Moksha (Liberation). Getting great renown. Ideal sloka for people born during waning moon period. Clears misunderstandings, blames, public scandals etc. Also suitable for reviving closed chapters (business/personal). Face becomes radiant. Sri Yudhisthira Maharaja said, "Oh Janardana, protector of all living entities, please tell me the name of the Ekadasi that occurs during the dark fortnight of the month of Bhadrapada (August-September). "The Supreme Lord, Sri Krishna, then replied, "Oh King, hear Me attentively. The name of this sin-removing, sacred Ekadasi is Aja. 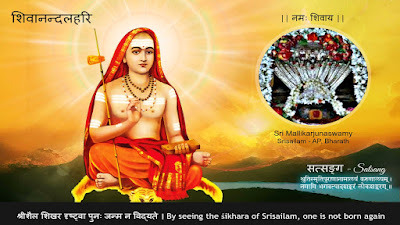 Any person who fasts completely on this day and worships Hrishikesha, the master of the senses, becomes free of all reactions to his sins. Even one who simply hears about this Ekadasi is freed from his past sins. Oh King, there is no better day than this in all the earthly and heavenly worlds. This is true without a doubt. "There once lived a famous king named Harishchandra, who was the emperor of the world and a person of great truth and integrity. His wife's name was Chandramati, and he had a son named Lohitashva. By the force of destiny, however, Harishchandra lost his great kingdom and sold his wife and son. The pious king himself became a menial servant of a dog-eater, who made him guard a crematorium. Yet even while doing such menial service, he did not forsake his truthfulness and good character, just as soma-rasa, even when mixed with some other liquid, does not lose its ability to bestow immortality. "The king passed many years in this condition. Then one day he sadly thought, 'What shall I do? Where shall I go? How can I be delivered from this plight?' In this way he drowned in an ocean of anxiety and sorrow. "One day a great sage happened by, and when the king saw him he happily thought, 'Ah, Lord Brahma has created brahmins just to help others.' Harishchandra paid his respectful obeisances to the sage, whose name was Gautama Muni. With joined palms the king stood before Gautama Muni and narrated his pitiful story. Gautama Muni was astonished to hear the king's tale of woe. He thought, 'How has this mighty king been reduced to collecting clothes from the dead?' Gautama Muni became very much compassionate toward Harishchandra and instructed him on the process of fasting for purification. 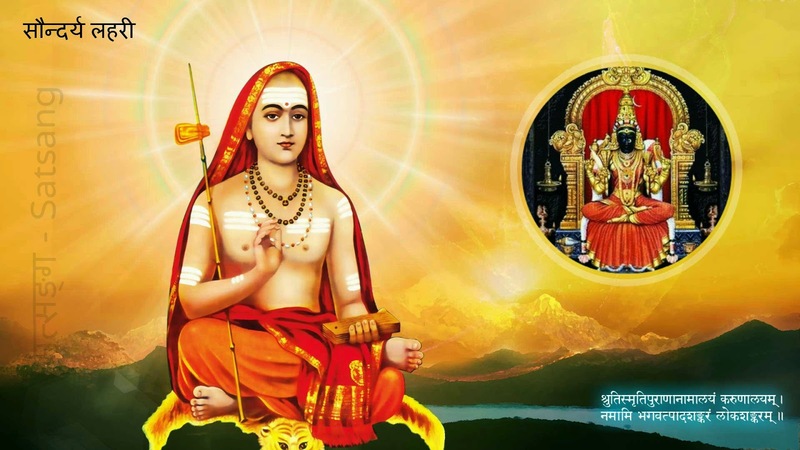 "Gautama Muni said, 'Oh king, during the dark fortnight of the month of Bhadrapada there occurs an especially meritorious Ekadasi named Aja (Annada), which removes all sins. Indeed, this Ekadasi is so auspicious that if you simply fast on that day and perform no other austerity, all your sins will be nullified. By your good fortune it is coming in just seven days. So I urge you to fast on this day and remain awake through the night. If you do so, all the reactions of your past sins will come to an end. Oh Harishchandra, I have come here because of your past pious deeds. Now, all good fortune to you in the future!' So saying, the great sage Sri Gautama Muni immediately disappeared from his vision. "King Harishchandra followed Gautama Muni's instructions concerning fasting on the sacred day of Aja Ekadasi. Oh Maharaja Yudhisthira, because the king fasted on that day, the reactions to his previous sins were completely destroyed at once. Oh lion among kings, just see the influence of this Ekadasi fast! It immediately vanquishes whatever miseries one may be suffering as a result of past karmic sinful activities. Thus all Harishchandra's miseries were relieved. Just by the power of this wonderful Ekadasi, he was reunited with his wife and son, who had died but were now revived. In the heavenly regions the devas (demigods) began beating on their celestial kettledrums and showering down flowers upon Harishchandra, his queen, and their son. 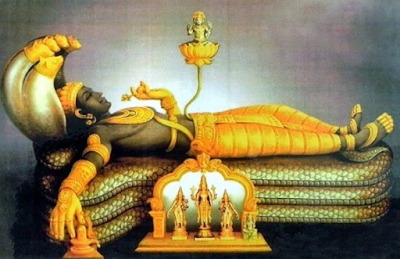 By the blessings of the Ekadasi fast, he regained his kingdom without difficulty. Moreover, when King Harishchandra left the planet, his relatives and all his subjects too, went with him to the spiritual world. "Oh Pandava, whoever fasts on Aja Ekadasi is surely freed from all his sins and ascends to the spiritual world. And whosoever hears and studies the glories of this Ekadasi achieves the merit gained by performing a horse sacrifice."